Story: Peaches' favorite activity quickly became clear - eating! 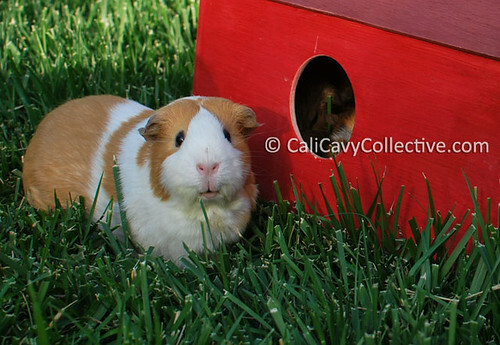 Never one to pass up a crisp leaf of lettuce, Peaches can often be found chowing away long after her cagemates have retreated into their cozies in piggy food comas. Coincidentally, she happens to be the most friendly and sociable towards people - most likely because she has determined that the nicer she is, the more treats she receives. 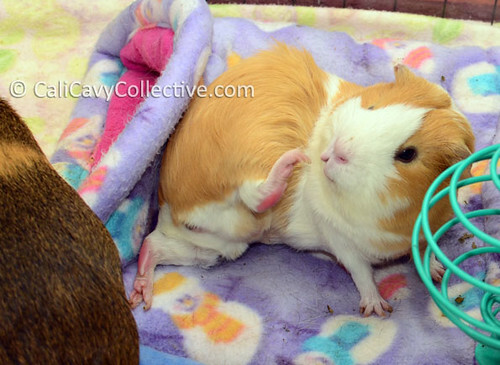 When Peaches is not stuffing her piggy face, she can be found snoozing in a bunk bed well out of Truffle's grumpy reach.